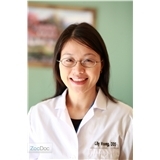 Lily Voong D.D.S. (San Francisco) - Book Appointment Online! Our dental office provides personalized and gentle dental care for adults and children. At our office, we listen to our patients’ concerns and tailor the treatment plan to meet each individual's needs. Our office philosophy is to provide quality dental care to maintain healthy and aesthetic smiles for years to come. We are committed to providing exceptional dental services in a professional, caring and friendly environment. We promote long-term health through preventive dentistry and patient education. Our office is well equipped with technological advancements such as Digital X-ray, Intra-oral Camera, and Dental Laser — all of which help enhance patient care. Our office accepts most dental insurances (ie. PPOs); however, we do not accept dental plans that restrict patients to a specific network of dentists such as HMOs and DMOs. Good. Very accommodating, pleasant and professional. Nice, friendly office staff. Close to home. Nice not to have to go downtown.